Book hotel rooms online with us at Formosa Park Hotel Apartments at the lowest rate, guaranteed. Get a holiday discount apartment rate at the luxury 4 Star Formosa Park Hotel Apartments located between Quinta do Lago and Vale do Lobo in the Algarve. The hotel is located in a residential area and only a short walk from the beach. There is a wide selection of self-catering apartments for two people up to four adults and two children. All the apartments are air-conditioned and have a fully equipped kitchen, living area with satellite TV and a balcony. Wi-Fi is available in all areas. 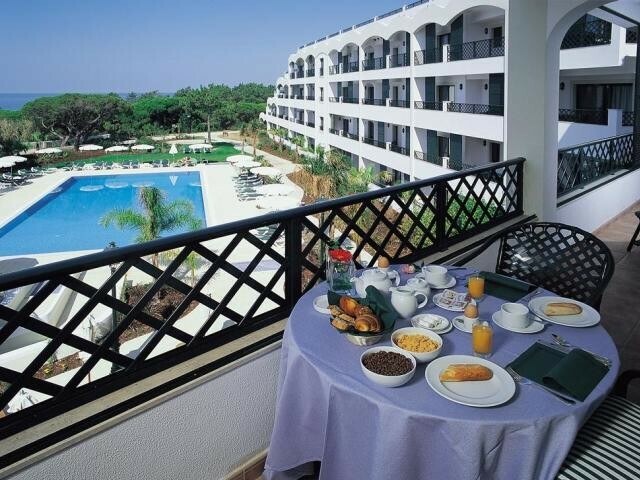 The Formosa Park Hotel Apartments in the Algarve facilities include an outdoor pool with sun loungers, a Kids play area, Games Room and Billiards, free parking and a charming terrace restaurant. The Faro international airport is about 20 kilometres.